If you’ve ever been to a formal English garden, you’ve probably seen myrtle (Myrtus communis) without even knowing it. Because of its dense foliage and springy branches, myrtle is favorite plant of topiary artists, along with holly, privet and bay laurel. A large fragrant bush native to North Africa and Southern Europe, myrtle has been a staple of herbalism and folklore in this region for millennia. In aromatherapy, myrtle essential oil is usually diffused as a general antiseptic and expectorant to clear sinus congestion , and used topically as a skin tonic . The oil is a pale yellow to orange mobile liquid with a fresh, herbal-camphoraceous odor reminiscent of eucalyptus. 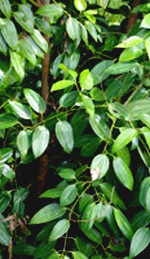 The myrtle bush grows up to 5 meters (16 feet) tall and has lance-shaped leaves, small white flowers, and dark purple berries; rarer varieties also produce pale yellow or amber berries. In Greek, Roman and Jewish traditions, myrtle symbolized renewal and love: the herb was sacred to Aphrodite, goddess of love (called Venus in Roman times) and to Demeter, the goddess of the harvest. Relatedly, myrtle has remained one of the plants traditionally associated with matrimony in Europe and the Mediterranean Middle East. Since the plant was associated with virility and the masculine forces of the universe, girdles of myrtle leaves were often given to Jewish bridegrooms on their wedding nights, and the leaves and flowers still appear in wedding bouquets today . An equally lively use for myrtle involves harvesting its leaves and berries and steeping them in alcohol to create a fragrant liqueur called mirto, a popular libation on the Southern Italian island of Sardinia, and also in Corsica. Mirto comes in two varieties: mirto rosso, or “red” mirto, made from the mytle plant’s dark purple berries; and mirto bianco, or “white” mirto, derived from myrtle leaves and sometimes the rarer yellow berries. The practice of making mirto may be connected to myrtle’s medicinal uses in the Mediterranean: Dioscorides, a Greek physician credited with creating the first Western compendium of herbal medicine, recommended a potion of myrtle leaves in wine for treating bladder and lung infections . According to the 16th-century physician Culpeper, myrtle leaves have drying and binding properties and are suitable for treating diarrhea and dysentery . They were also a primary ingredient in Angel’s Water, a 16th-century skin care tonic ; it was at about this time, with the invention of the greenhouse, that myrtle bushes were first sucessfully grown year-round in England for use as topiary plants. 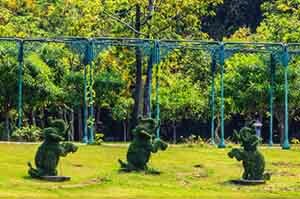 Topiary often assumes fanciful shapes, such as these topiary elephants in a tropical park near Bangkok, Thailand. 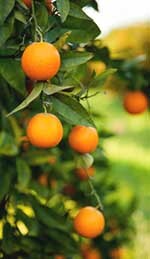 Today, myrtle is cultivated throughout the Mediterranean for its essential oil. Besides its tonic benefits for the skin, myrtle essential oil can be diffused to treat colds, congestion, and persistent coughs . Myrtle essential oil is currently being researched as a potential herb to support the thyroid gland , and it may also be useful in tamping down an overactive thyroid. There has also been extensive research on two compounds in the stem and leaf, Myrtucommulone A and semimyrtucommulone B, demonstrating significant antioxidant properties in lab tests . As a perfume, the refreshing, slightly sweet scent of myrtle blends well with herbaceous and slightly spicy oils such as bay, clary sage, clove, hyssop, lavender, rosemary and thyme. 1. “What is Myrtle Oil?” WiseGeek: Clear Answers for Common Questions. Accessed May 12th, 2014. http://www.wisegeek.com/what-is-myrtle-oil.htm. 2. Ryman, Danièle. 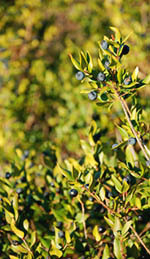 “Myrtle (Myrtus communis)”. Aromatherapy Bible. Accessed May 14th, 2014. http://www.aromatherapybible.com/myrtle.html. 3. “Myrtus“. Wikipedia. Accessed May 14th, 2014. http://en.wikipedia.org/wiki/Myrtus#Common_myrtle. 4. Culpeper, Nicholas. 1816. Culpeper’s Complete Herbal. Published by Richard Evans; pg. 242. 5. Charles, Denys J. November 27th, 2012. Antioxidant Properties of Herbs, Spices and Other Sources. Springer. This entry was posted in Aromatherapy, Essential Oils and tagged antimicrobial essential oil on November 6, 2013 by Keith Cleversley. The common silver fir (Abies alba) is a large coniferous evergreen tree native to Europe, and is also called the European Fir or White Fir. Its clear to pale yellow essential oil is obtained by steam-distillation of the needle-shaped leaves and posesses a rich, sweet-balsamic odor reminiscent of the primeval evergreen forests where it originated. Like other balsamic and pine oils, fir needle essential oil is used in aromatherapy to treat upper respiratory infections, congestion, and related respiratory issues , and as a circulatory stimulant . 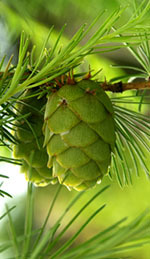 The silver fir grows between 40 and 50 meters (130 to 165 feet) tall and has glossy dark green leaves and elongated cones. Ranging as far west as the Pyrenees in Spain, east to the Carpathian mountains and down into southern Italy, the fir tree is commonly harvested for its soft wood, which is used to make packing crates, paper, and other wood-based materials. In centuries past, native Americans burned the branches and cones of a related fir species as a ritual incense to center the mind and increase awareness. Silver fir trees also used to be the preferred species for making into Christmas trees, but other species with denser foliage such as the balsam fir and blue spruce have now replaced it . The leaves of Abies alba are the preferred source of fir needle essential oil, which is frequently used in making soaps, perfumes, bath products, and aromatherapy diffusion blends . Extremely popular for its clear, elevating scent, fir needle oil is often diffused into the air to lift the mood, increase energy and act as an antiseptic, especially during the winter months. Fir needle oil is used in targeted aromatherapy treatments as a decongestant and expectorant for respiratory congestion , and as a topical rub for sore muscles, sprains, and painful joints . One easy way to use fir needle essential oil to treat congestion is to dilute a few drops of the oil in a salve or lotion and massage it into the chest, back and soles of the feet: the oil’s mucolytic effects will instantly start to relieve congestion as the oil is absorbed through the skin as well as inhaled. Fir boughs were once burned in saunas to create purifying vapors that cleansed the body of toxins. So while fir needle essential oil acts as a circulatory stimulant and detoxifier on its own , one way to increase its therapeutic effects is to add a few drops of the oil to a warm bath. The warm water encourages the oil’s absorption, leaving the whole body feeling toned, energized, and rejuvenated! 1. Group, Edward F. “The Health Benefits of Pine Oil”. Global Healing Center. Last modified September 10th, 2013. http://www.globalhealingcenter.com/natural-health/pine-oil/. 2. “Fir Needle Essential Oil”. Ayurvedic Oils. Accessed June 18th, 2014. http://ayurvedicoils.com/tag/fir-needle-essential-oil. 3. “Abies alba”. Wikipedia. Last modified June 18th, 2014. http://en.wikipedia.org/wiki/Abies_alba. 4. 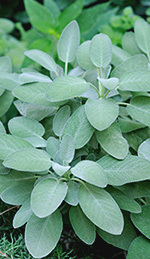 “Treat Cough With Fir Needle Oil”. Fir Needle Oil. Accessed June 16th, 2014. http://firneedleoil.com/cures-treatments_ahem-ahem-treat-cough-with-fir-needle-oil_37.html. 5. “Fir Needle Essential Oil”. AromaWeb. 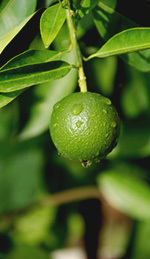 Accessed June 19th, 2014. http://www.aromaweb.com/essential-oils/fir-needle-oil.asp. This entry was posted in Aromatherapy, Essential Oils and tagged antimicrobial essential oil, antiseptic essential oil on July 23, 2013 by Keith Cleversley.